At the end of the old Sillon isthmus, Saint-Malo Castle was constructed on remnants of the town’s ancient wall and was built by the Dukes of Brittany. 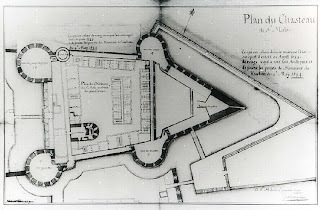 The objective back then was to assert their authority over the rebellious inhabitants of Saint-Malo by controlling this single access point to the mainland. First of all, Duke John V oversaw the construction of the Keep in 1425. Francis II added the tower called the Tour La Générale in its south-west corner, and his daughter, the famous Anne of Brittany, completed the work with the Tour Quic-en-Groigne in the north-west corner. This tower derives its name from the famous inscription “Quic-en-groigne, ainsi sera c’est mon plaisir” (“He who grumbles about it shall give me pleasure”), which locals attempted to erase at the time of the French Revolution. 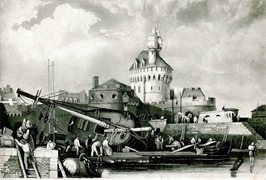 Two other towers, the Tour des Dames in the north-east, and the Tour des Malouins in the south-east, as well as the bastion called La Galère, round off the series of defences along the Sillon. The castle was surrounded by moats until 1880. Abandoned by the French Army after World War I, the castle has been the location of the Saint-Malo Town Hall since the end of World War II, which was installed in the old 18th-century barracks. 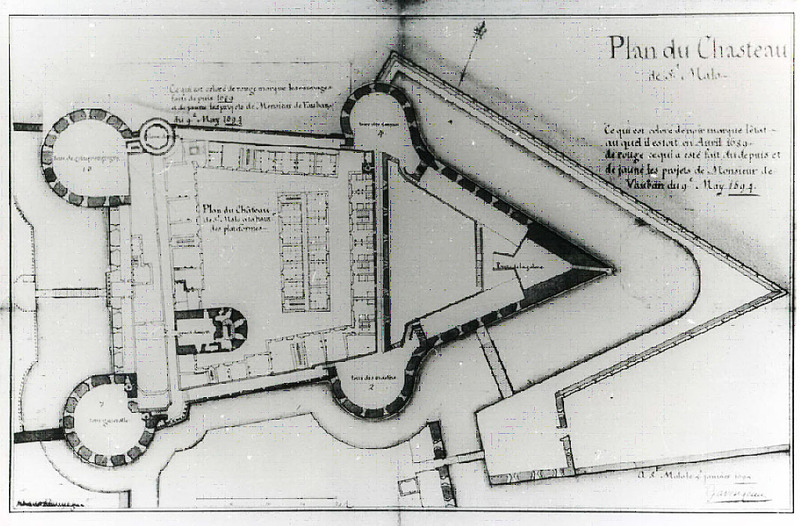 In 1590, the castle bore witness to a major episode in the history of Saint-Malo. That year, the town’s inhabitants decided to take over the castle in order to prevent its governor from opening the town gates to the new King of France, Henry IV, who was a Protestant. The town declared itself to be an “Independent Republic”, which came to an end after the King converted to Catholicism in 1594. It is in memory of this short-lived independence that the town of Saint-Malo still hoists its flag from the highest point on the castle.